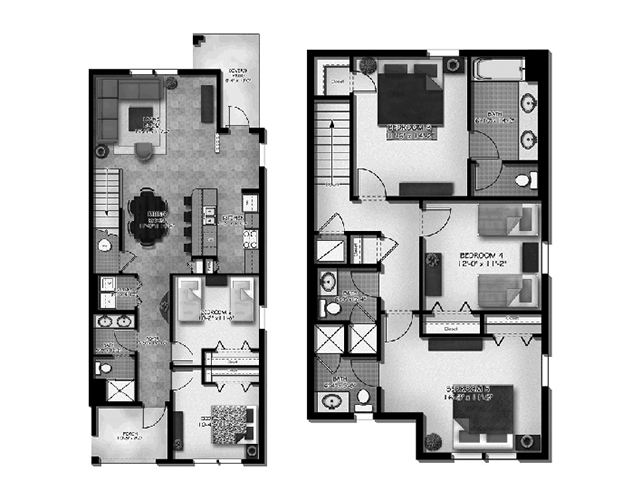 This 5-bedroom, 4-bathroom vacation 2,128 sq. 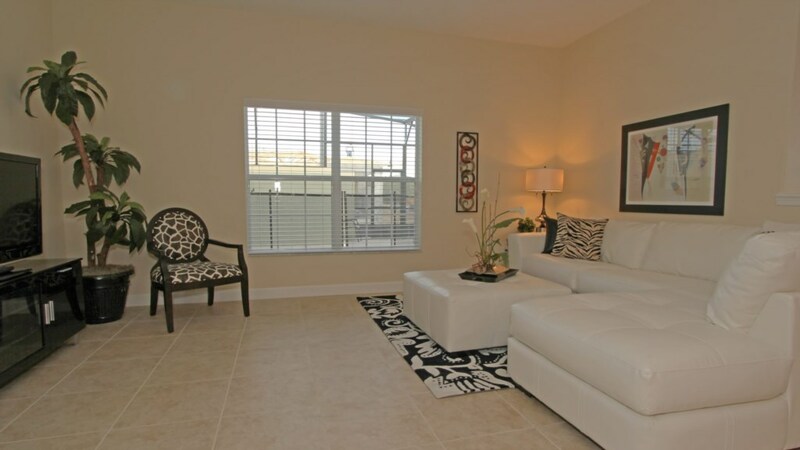 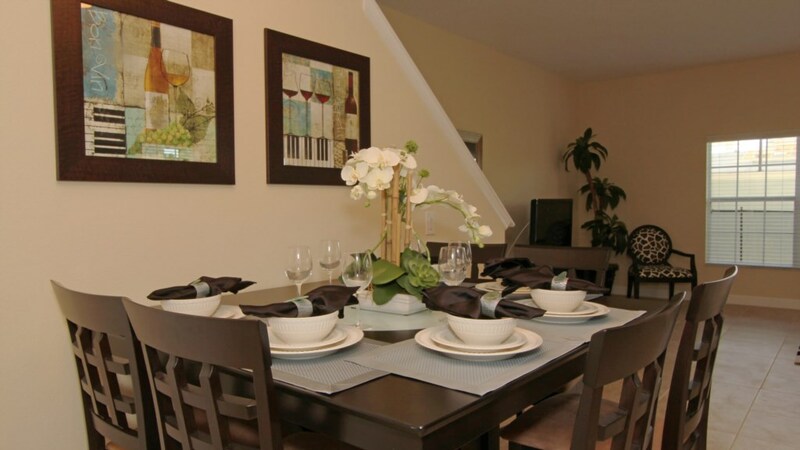 ft. 2 story townhome accommodates 10 in splendid style. 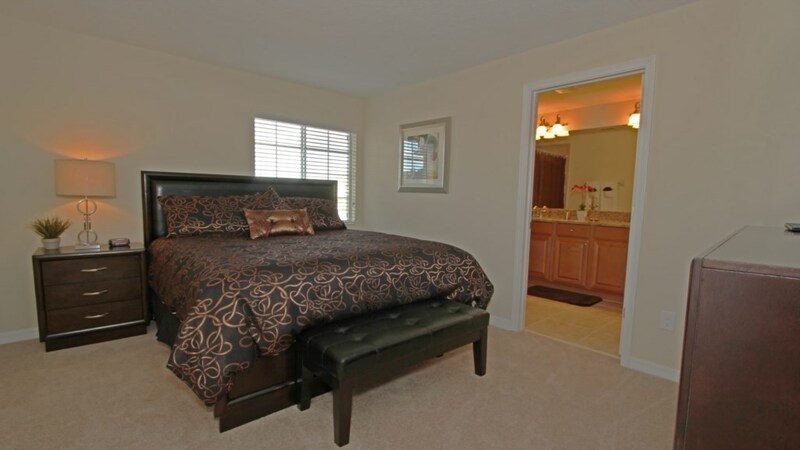 This rental features a terrific furniture package with all of the bedrooms having a flat screen. 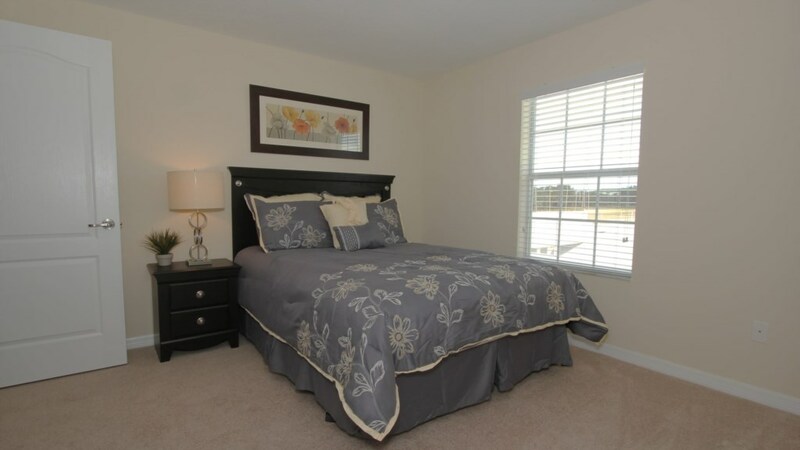 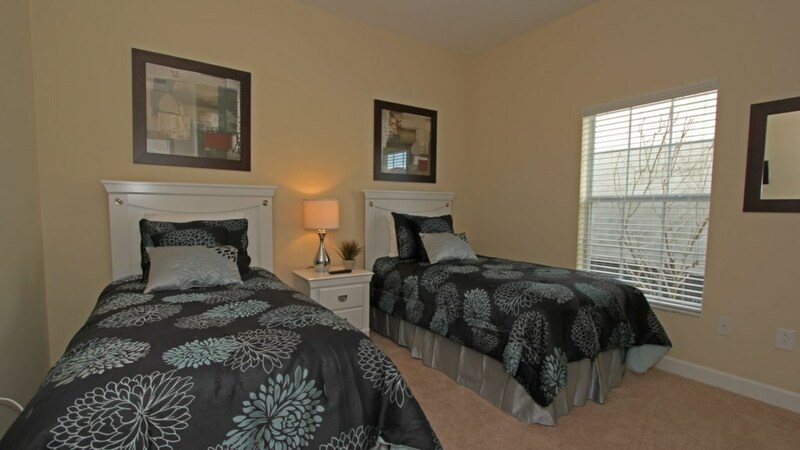 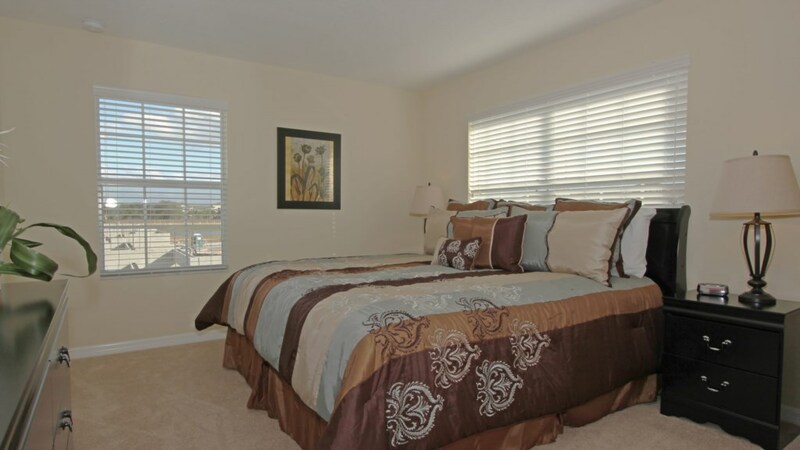 The bedrooms consist of 2 king beds, 2 queen beds and one with 2 twin beds. 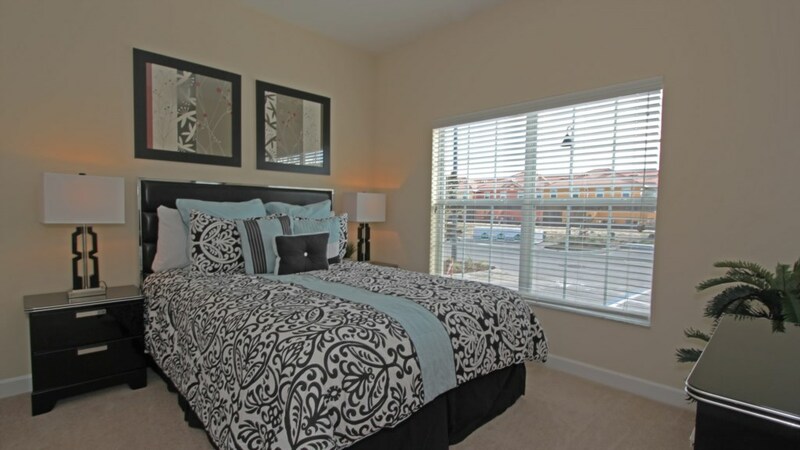 For your convenience, there is a full-size washer and dryer along with FREE WIFI. 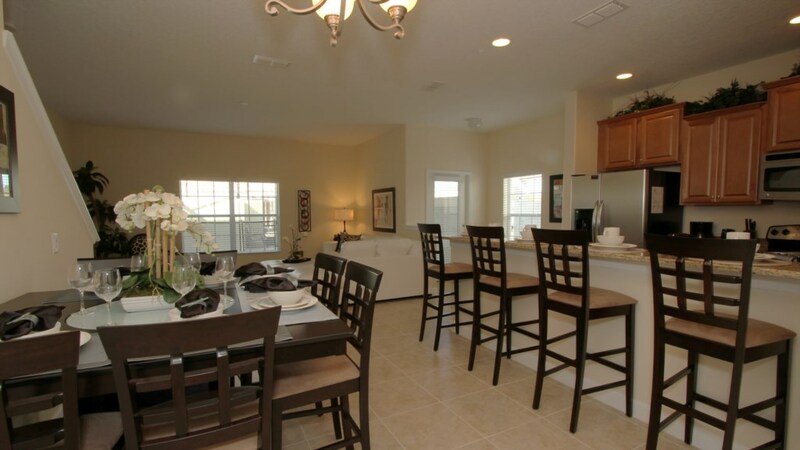 The dining room has plenty of room to gather together to dine and enjoy meals together. 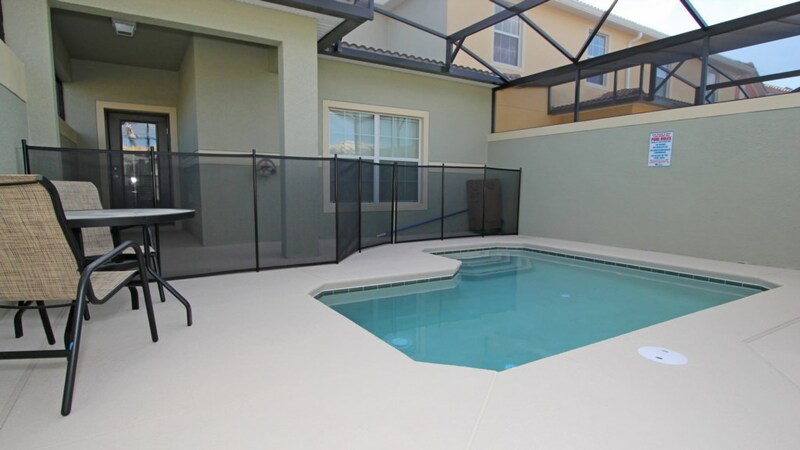 The gorgeous splash pool will provide hours of fun and relaxation for everyone. 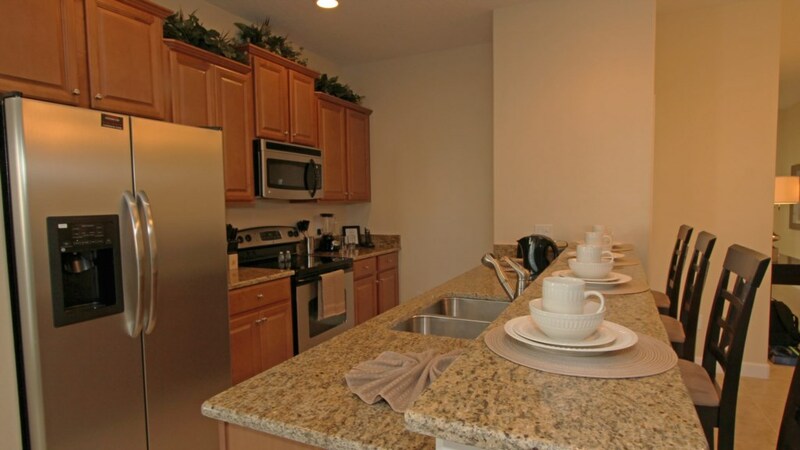 The kitchen is fully furnished and ready to meet your culinary needs.